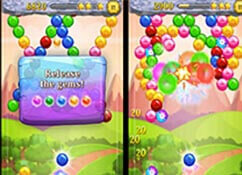 Play smarty bubbles now, smarty bubbles is a nice traditional bubble shooter game. 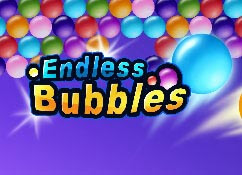 This is an endless bubbles version, that means there is only 1 level. 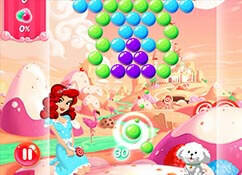 You must clear the playing field by making the smarty bubbles pop. 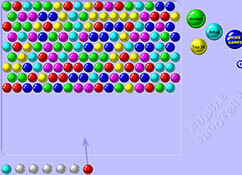 You do this by shooting the colored bubbles and make combinations of 3 or more bubbles of the same color. 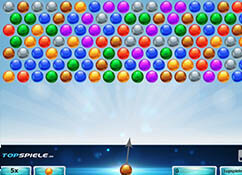 You can make combo's by popping more than 3 bubbles or use connected bubbles to pop bubbles that are an other color but connected with only 1 bubble. 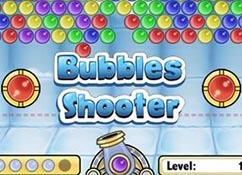 You can shoot 5 bubbles without any pops, with the next bubble you will shoot there will be a line of bubbles added on the top of the field. 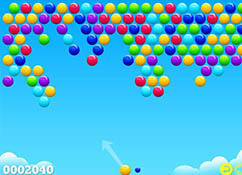 If this happens you can only shoot 4 bubbles until the line drops, next you can shoot 3 bubbles before the line drops and so on. Until you can only have 1 miss. 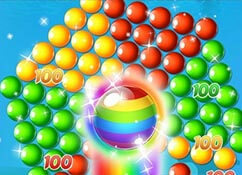 Be careful that you don't miss too much or you will go game over.You win by eliminating all smarty bubbles, the best strategy is to go for 1 color first. 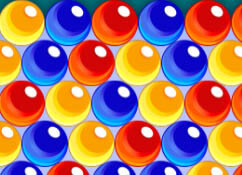 If you have popped all bubbles from 1 color there will be no new bubbles for this color. 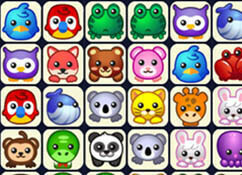 This makes it easier to finish the game because there are less variations left. 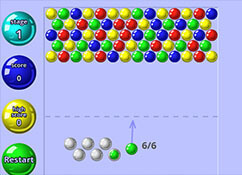 The guide in the bottom shows which bubble will be next. 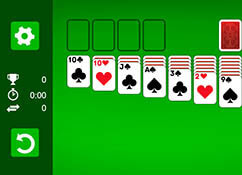 In the main menu you can watch your statistics and in the pause menu you can resume or restart your game and switch the audio. 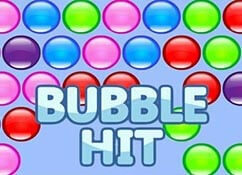 Hold the mouse button to show a aim guide, this will help you to aim the bubbles much better. 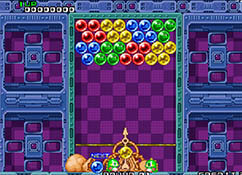 Release to shoot the bubble. 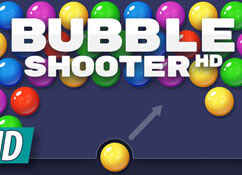 On mobile or tablet you can just tap and hold the screen where you want to aim, release to shoot the bubble. 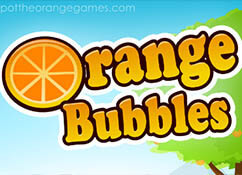 At the end of the game you will see your score and statistics like how many bubbles you shot, how many combo's you made. 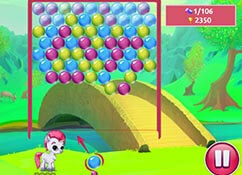 Tell us what you think about Smarty Bubbles. Or share a tip.